EJF’s Staff Archaeologist excavates a structure at the Catawba Meadows site. The 2010 Catawba Meadows excavation crew pose in front of the footprint of a 16th-century building. 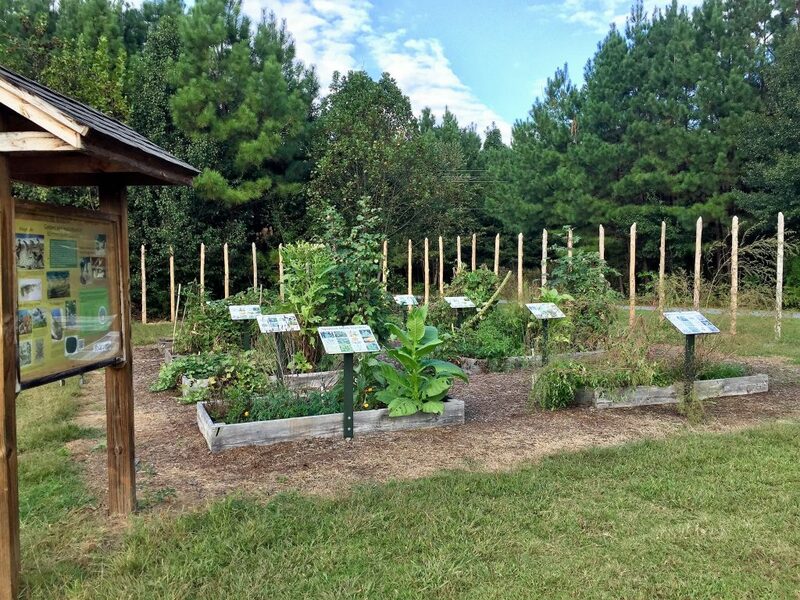 EJF partners with the City of Morganton to offer a Living History Center at the Catawba Meadows Park. 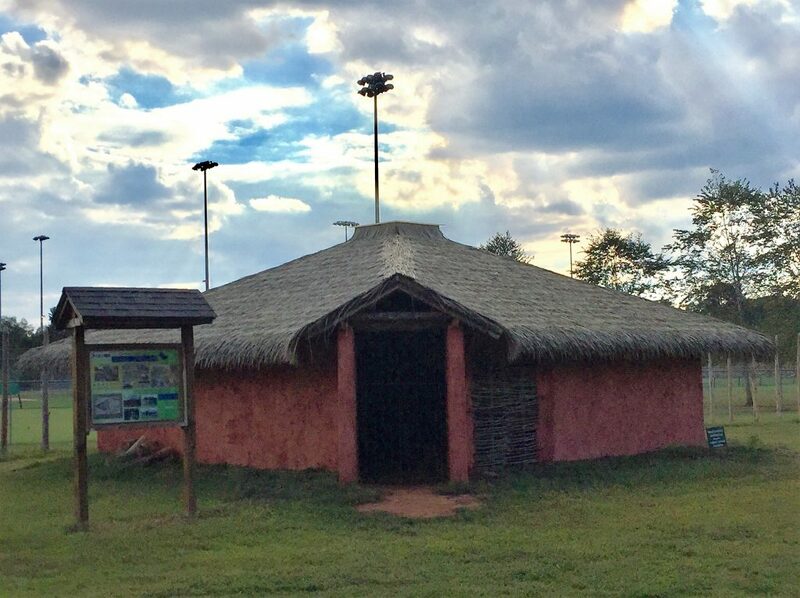 The Living History Center is an interactive interpretive center which is located on the site of a significant 16th Century Catawba Indian town. Excavations yielded information that allowed EJF to accurately reconstruct sixteenth-century buildings at the Catawba Meadows site. 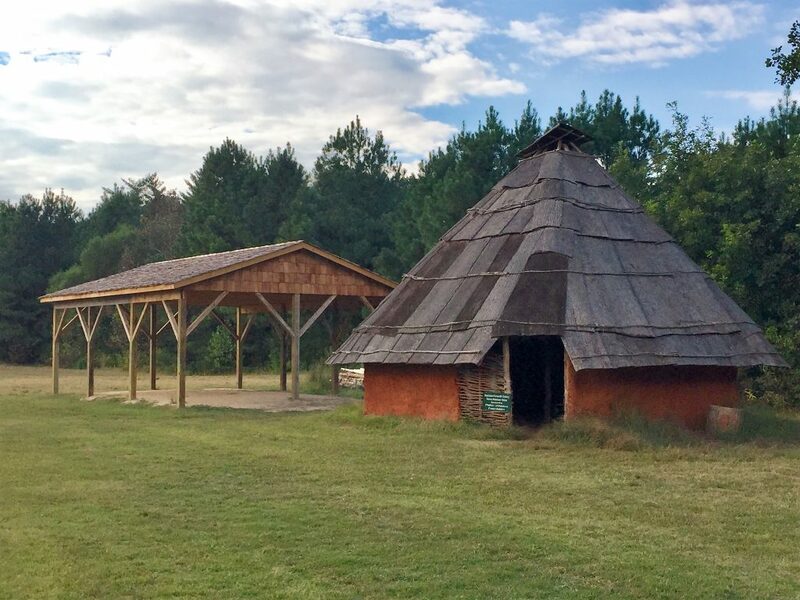 EJF began development of the Living History Center in the Spring of 2012 and completed the Native Phase in 2016. EJF currently hosts a variety of school and community programs at this site. For more information on events at Catawba Meadows, check our Events Calendar. EJF welcomes community members and visitors to walk through the Living History Center during visits to Catawba Meadows Park. Planning for a Spanish Phase, including a replica of Fort San Juan and a museum, is underway and EJF is currently raising funds for this project. To support the continued development of the Living History Center, click here.